Irrespective of the location of a public organization be it governmental or nongovernmental, there are basic expectations of public administrators geared toward ethical and responsible service. The American Society for Public Administration highlights among others, the call to promote the public good, respect for existing government constitutions and laws and promote social equity and exercising personal integrity. For those involved in international endeavors, the scope of recommended, and to some extent required skills and expectations grows. The call to respect the rights and dignity of all people becomes more of a challenge when practices and norms appear foreign or misunderstood because they are unfamiliar. There is a need for public administrators involved in international work to engage in the purposeful pursuit of transnational as well as transcultural leadership skills. This may be even more necessary for those working with the African continent that boasts diversity on a number of distinct, yet related levels. Take the example of Cameroon, a West African nation that, like Canada, is officially bilingual with English and French as the official languages. Unlike Canada, French is the predominant language while English-speaking Cameroonians are the minority. To this, add the existence of 24 major African language groups and by some accounts well over 300 dialects. Each group may practice distinct traditional beliefs, sub-cultures and numerous variations of vernacular languages. Cameroon often referred to as Africa in miniature, is also diverse in terms climate, with lush tropical climate along the coast to semi-arid hot climate in the north. The terrain is equally varied with plains, plateaus and grasslands as well as an active volcano. All of this within a land area slightly bigger than the state of California. In addition to heightened levels of diversity, great disparities in wealth exist with a small percentage of the population living in affluence while the majority is living well below the poverty level. With all these factors in mind, the importance of transnational leadership skills cannot be overemphasized. Transnational skills encompass many of the traits of transcultural abilities with the added element of crossing national boarders. Crossing boarders may include changes in time zone, differences in national laws and recalculation of budgets because of changes in currency and exchange rates. Public administrators involved in international work can quickly develop the particular skills needed for their specific project and target population. However, the key to success often lies in simply expecting differences, respecting diversity and being willing to learn from anyone, indeed everyone involved in the project. Top executives of the target region may provide standard policy and procedural information. However, it is often the field representatives, and even members of the population being served, who can provide key cultural expectations and advice on the most successful means of approaching the main gatekeepers within their society. It is worth noting that these considerations may also be relevant not only for public administrators involved in international work, but those working with diverse, cultures within the same nation or community. The ability to observe the behavior of a person or group and determine which aspects are common to others, which aspects are unique to the individual or group and what aspect of the behavior is cultural is a skill that has been termed cultural intelligence. 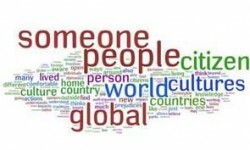 Cultural intelligence is a skill that facilitates successful interactions in cross-cultural and multi-cultural settings. As opportunities for global communication, travel and projects increase, cultural intelligence is a skill that can benefit businesses, nonprofits and even individuals. Although individuals with significant international experience may posses these skills to a greater extent than others, it is a skill that can be enhanced. In a 2009 Ethnic and Racial Studies article, AnnaTriandafyllidou suggests that transcultural skills may be seen as a form of capital. Individuals with such skills can be instrumental in addressing societal concerns involving diverse populations in a single community, or across national boarders. Keep in mind that different may not mean better or worse, just different. Avoid thinking or saying things like “They drive on the wrong side of the road” rather simply consider it the “other” side of the road. Make use of resources available to you in your home setting including reliable publications and experienced individuals before you venture into a new culture or nation. Ask questions. If you don’t understand something ask someone who has firsthand experience in both your home and your target culture, or at least your target culture. Find common ground. Differences may be better discussed and approached after identifying common areas, whether in policy or in the past times of those involved. Show interest and respect. You are less likely to be viewed negatively even if you commit a cultural faux pas if you display interest and respect for your target population/hosts and their culture from the onset. While it is important for public administrators to know and practice the ethical principles and standard processes of their respective offices, administrators involved in international work should add transnational as well as transcultural awareness and skills to their toolkit for success. Acknowledging differences, expecting a learning curve and embracing opportunities to implement and build their transnational skills could be just as important to the success of a proposed project as the planning and implementation of the initiative.